Size: -- Choose Size -- 3" 3.5" 4.5"
These Royal Imports Green Floral Water Tubes are molded from unbreakable polypropylene plastic, while the caps are made from soft, rubber-like polyethylene. 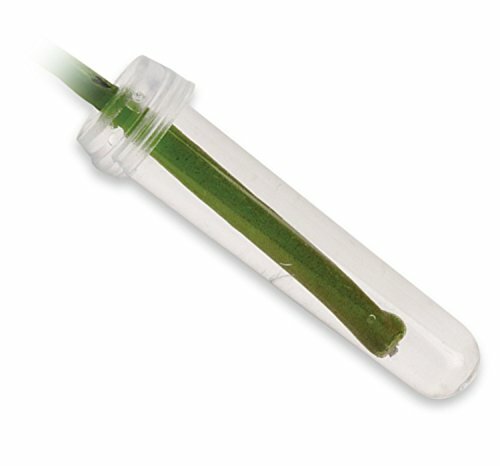 The middle opening in the cap stretches, allowing for a single-stem floral item to be placed through it, forming a water-tight seal to keep this water vial from leaking. 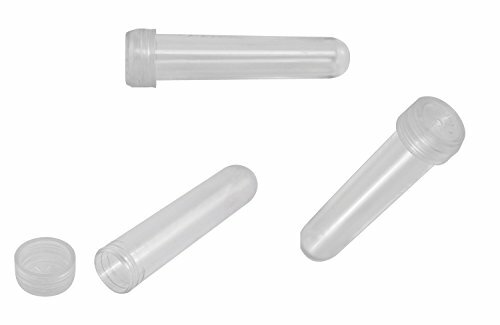 Caps are included with tubes! 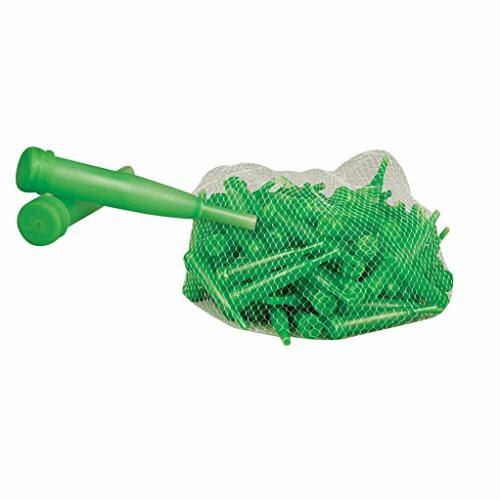 Pik tubes can be placed into soil or floral foam to create arrangements for use in your home, garden or as a gift! 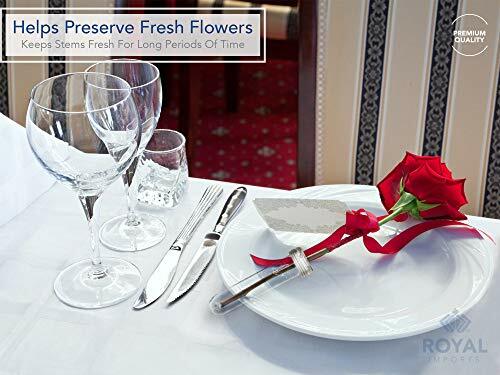 Essential for preserving fresh flowers, keeping them alive longer Includes rubber caps. 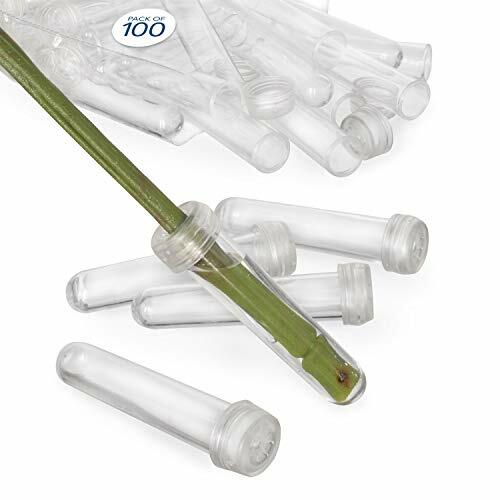 Leak free tubes allow for flowers to be transported and enjoyed without fear of spilled water Perfect accessory for florist and for other crafters, a must have for floral arranging Simply fill with water, close cap and insert the flower stem Single Stem Water Pick, available in a variety of sizes and styles, in either clear or green translucent, comes in packs of 100 pcs per bag. 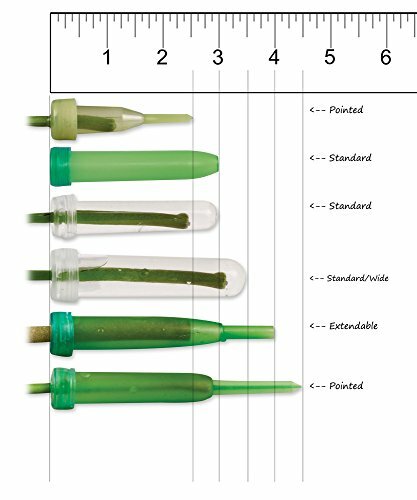 Standard= is a regular round base tube. Extendable Style= Takes in a floral pick at the bottom so water tube can be further extended. Pointed Style= Tube has its own pick at the bottom which can be sticked directly into foam or soil etc. Size by Inches mentioned includes the extension (whether Extendable or Pointed).